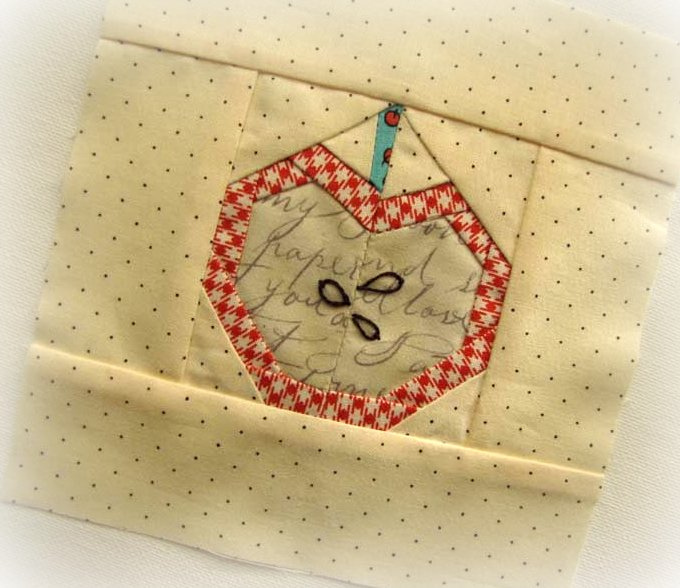 Charise Creates: Apple Tutorial and Pattern Here!! I finally finished the pattern for these little apples. Link to the Pattern Here! If you have any questions/ comments, please leave a comment on this post and I will answer here so everyone can see the response. Tks!! 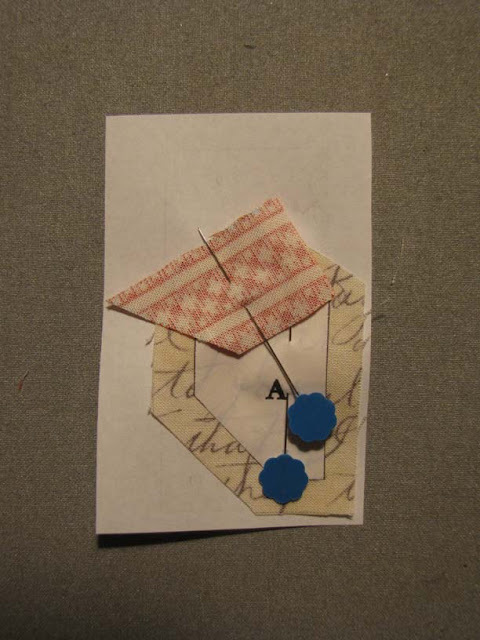 1) First, I like to print out a copy of the pattern for reference. 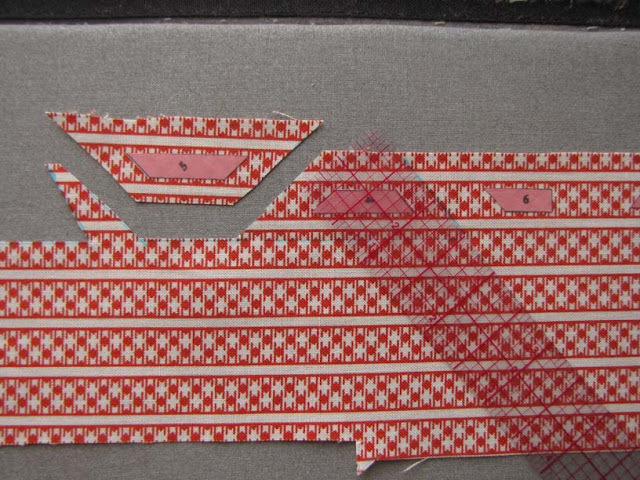 Photo copy the Fabric Cutting Template onto freezer paper, dull side. 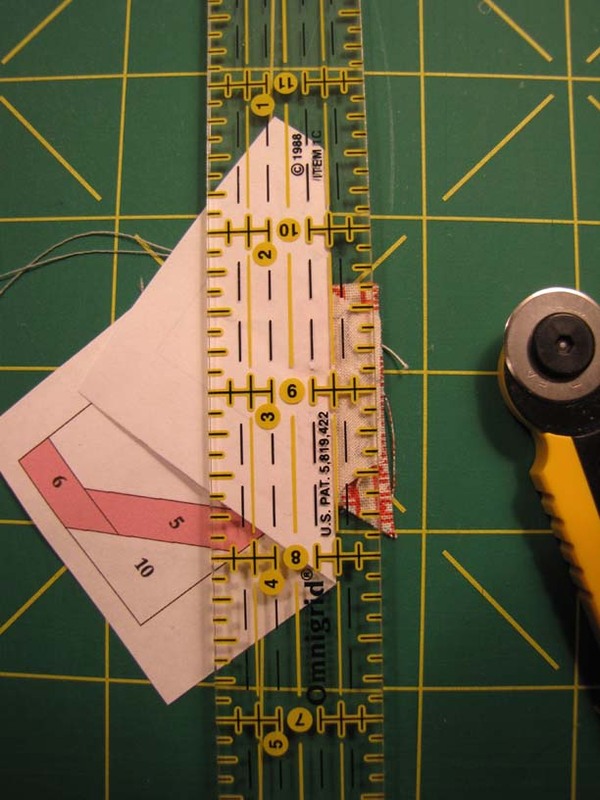 Carefully cut out your pattern pieces on the black lines. I like to sort the pieces in groups by fabric. 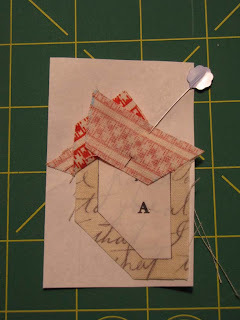 2) Iron the pieces to your fabric, right side. Leave at least a 1/4" s.a. around each piece. 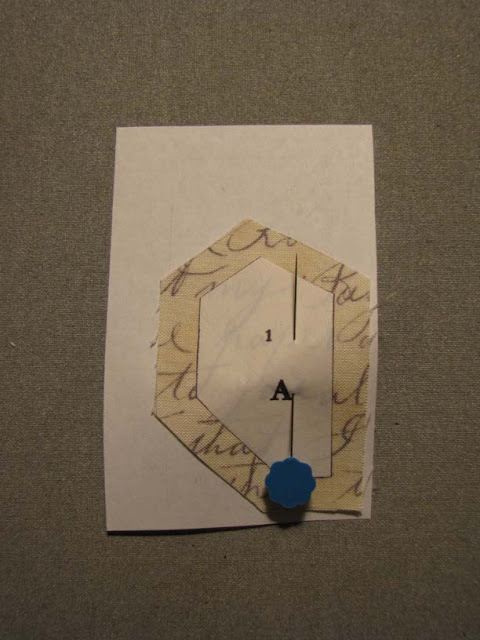 or Vellum. I have also used heavy wt. 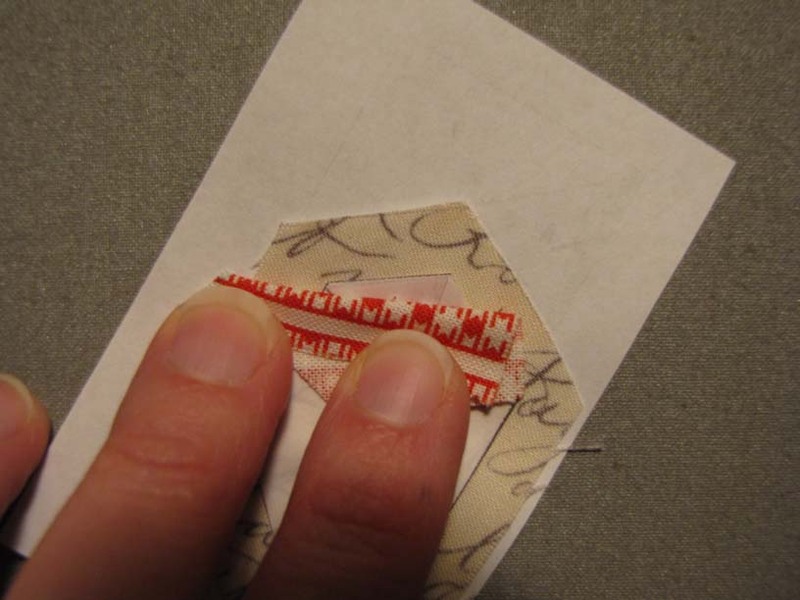 tracing paper. Pls note *** these templates are the mirror image of the actual block. hold the fabric up to a light or window to see through the paper to postion the piece correctly. 4) Place piece #2 onto piece one matcing your seam line. 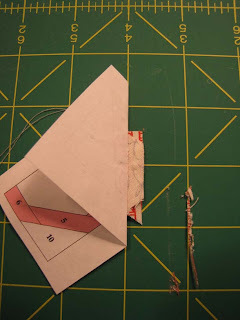 Lift piece #2 to and use your freezer paper edge to help match up the seams and pin into place. 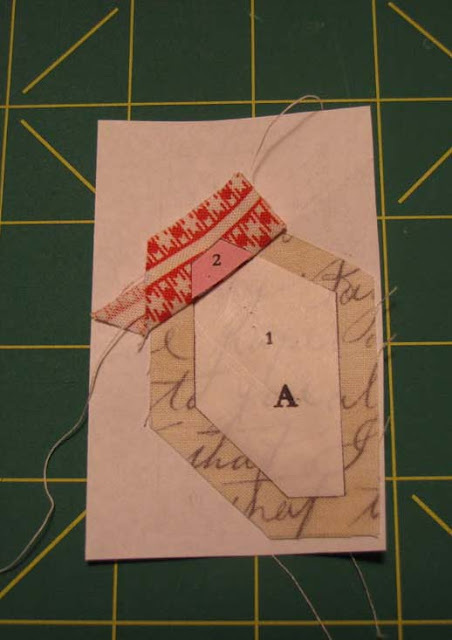 5) Flip your template over and stitch on the seam line between piece #1 & #2. 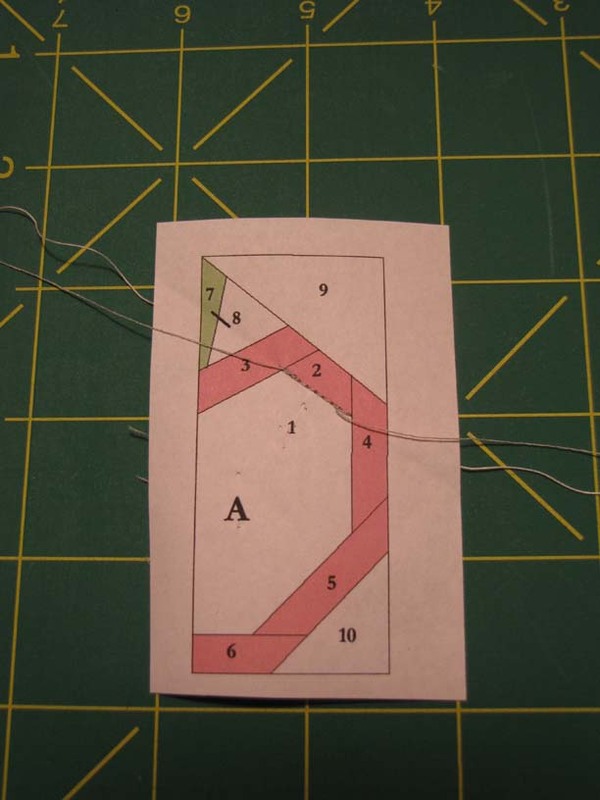 I use a small stitch and back tack at the end of each seam line. 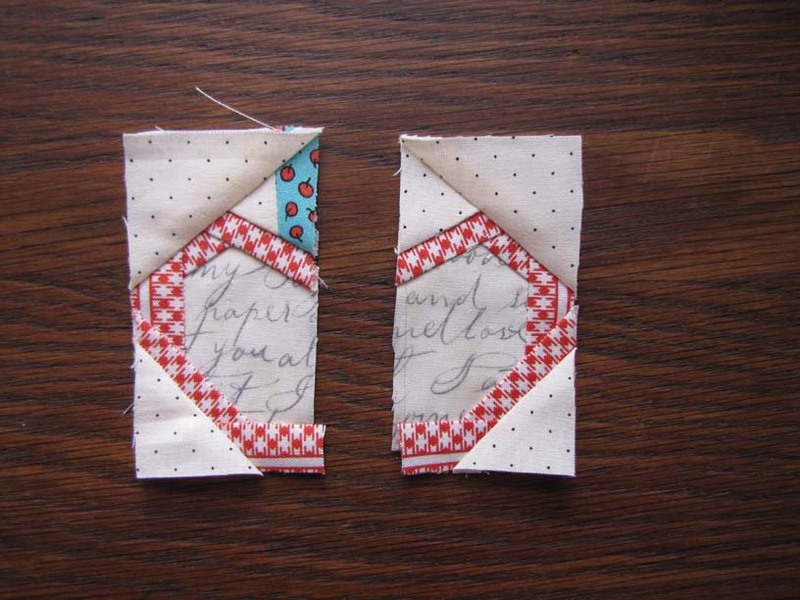 6) This is how your pieces will look after sewing. 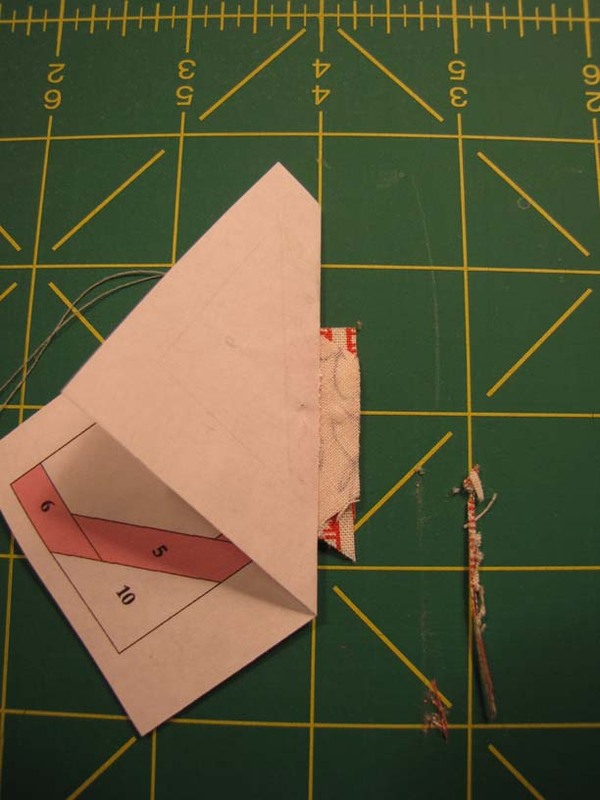 7) Fold your template back and trim your seam allowance to 3/16". 8) Continue around piece #1 until you have your apple sewn together. 10) When you are finished sewing, you will have two apple halves. Match and pin at seams. Stitch down the center for your completed apple. I added a border and some seeds with a lazy daisy stitch! Lovely tute Charise! Those little seeds are perfect! What a wonderful apple pattern! So cute with its little seeds! This is such a great tute, Charise! the teeny tiny apple on the stem is killing me!! I just changed the settings, OOPS ! Tks for letting me know!! i love this sweet apple block. Thank you for this tute. Found you on fwqal yahoo. I am new to pp piecing and have been reading everything I can find. I cannot wait to try your methods. 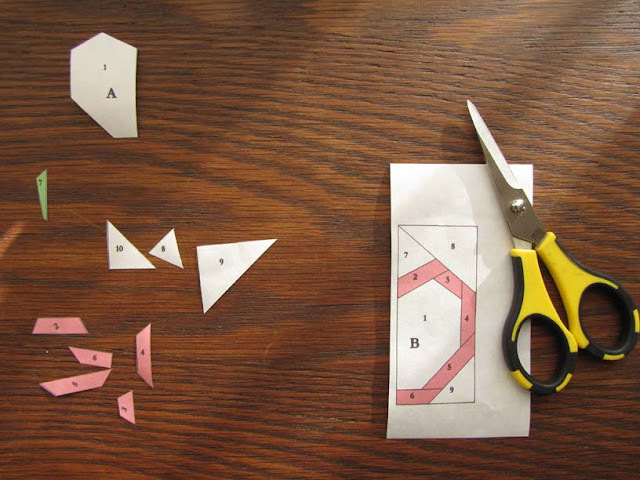 You have meshed the best of both worlds, pp piecing and freezer paper. This makes sense to me! Thank you so much for this tutorial. I found you on The Fabric Shopper's blog and saw the teapot and bought the chart and now I have this too. I am new to everything and have been for a couple of years because oh well just because. 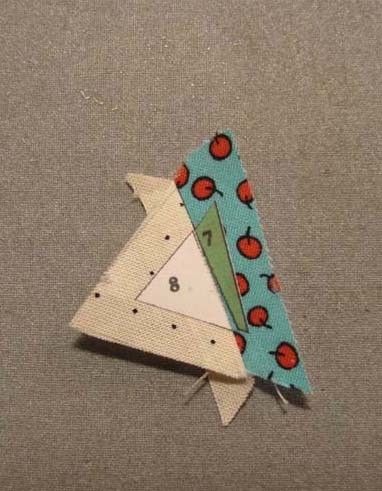 But I know I like paper piecing the best and this apple shall be my next project. This is great information. I've been wanting to try the freezer paper technique for a while...it's time! Thanks so much for doing this tutorial. I love apples too! 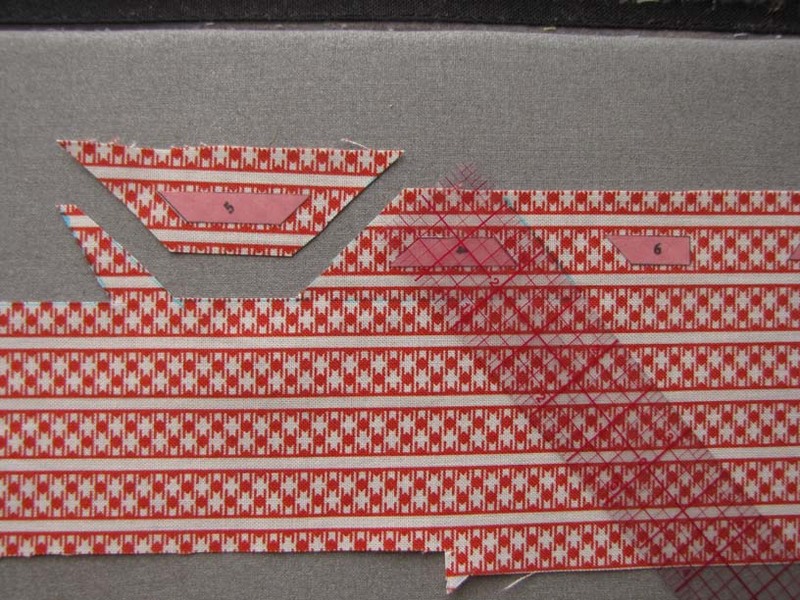 Can you tell me how big the pattern should measure. I am printing it out on my ipad and it seems too small. 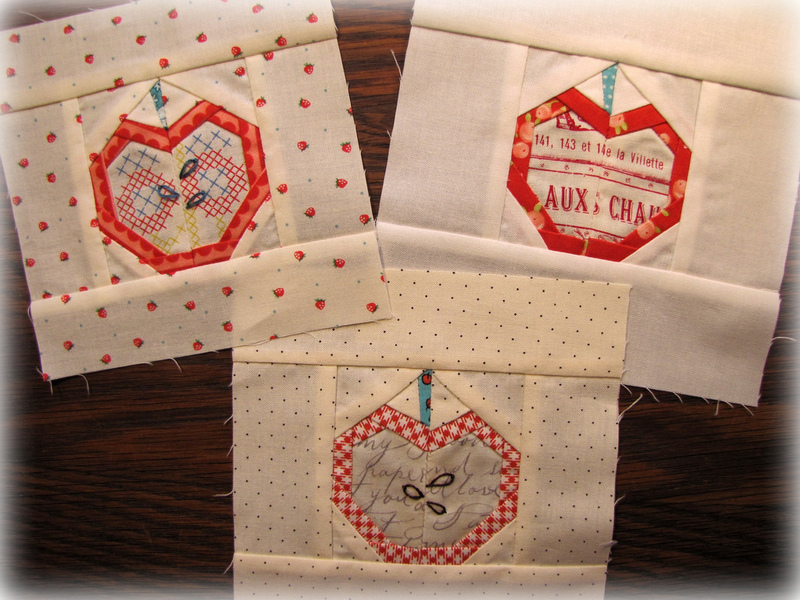 These would make darling potholders for teacher gifts. Thanks for the pattern and instructions! Hi! This is exactly what I'm looking for my Disney Princess inspired quilt. :) Are you able to please tell me the dimensions of the block when it is finished? Thanks! obrigada pelo tutorial. vou tentar fazer.